Meriden Family Dental provides quality dental care to meet your needs and help you achieve your goal of a healthy and beautiful smile! 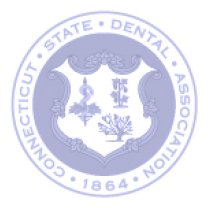 Call our office in Meriden, Connecticut, today to make your appointment with our dentists! Enjoy the convenience of staying in one location for specialty care. Advanced care with our skilled team opens doors to endless solutions. Complete care for the whole family, including kids. Complete solutions for your family in Meriden, CT & surrounding areas. Finding a perfect dental home helps your family focus on a healthy lifestyle. At Meriden Family Dental, discover compassionate dentistry and exceptional customer service. Serving the Greater Hartford area including East Hartford, Manchester, and surrounding communities, our team offers unmatched dental resources for all of your needs. Our patients appreciate the relationships we develop with them and the way we listen to their concerns. That’s why we offer more services than the traditional dental office. Along with the care you’d expect, oral surgery and pediatric specialists blend their expertise into our team...all under one roof. Whether you need preventive care, dental implants, wisdom teeth removal, a smile makeover, or comfortable root canals, you’re in the right place. Explore a setting that considers your concerns every step of the way. We look forward to helping your family enjoy an unsurpassed healthcare experience at Meriden Family Dental in Meriden, CT.
Invisalign brings stealth straightening to you with thin, invisible trays. Meriden Family Dental’s experience puts a stunning smile within easy reach. Meriden Family Dental offers cosmetic dentistry options that perfect your smile and restore your confidence. Dental implants bring the ultimate solution for missing teeth. Meriden Family Dental brings advanced expertise to direct your implant case at every stage.